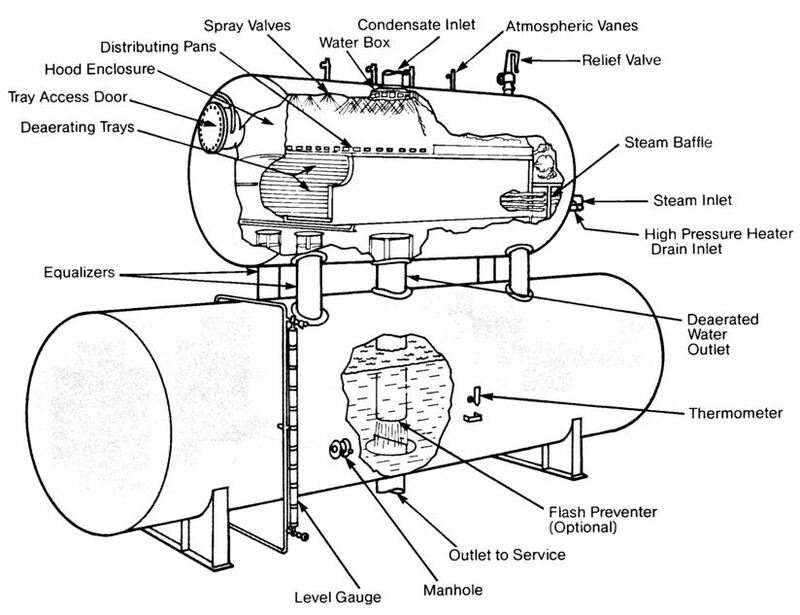 A boiler is a closed vessel in which water under pressure is transformed into steam by the application of heat. In the boiler furnace, the chemical energy in the fuel is converted into heat, and it is the function of the boiler to transfer this heat to the contained water in the most efficient manner. The boiler should also be designed to generate high quality steam for plant use. A flow diagram for a typical boiler plant is presented in Figure 12.l. A boiler must be designed to absorb the maximum amount of heat released in the process of combustion. This heat is transferred to the boiler water through radiation, conduction and convection. The relative percentage of each is dependent upon the type of boiler, the designed heat transfer surface and the fuels. 1. Fire tube boilers- Products of combustion pass through the tubes, which are surrounded by water. 2. Water tube boilers- Products of combustion pass around the tubes containing water. The tubes are interconnected to common channels or headers and eventually to a steam outlet for distribution to the plant system. The boiler house or steam generation facility within any given plant is frequently referred to as the heart. In the event this system shuts down for unexpected reasons or for plant turnaround, most processes within the plant will not be operable. For this reason, very conservative treatment measures are used in the boiler. Operating personnel can be reluctant to change treatment programs if the one currently in use is deemed successful. On the other hand, if a treatment program is linked to a boiler failure, change usually comes quickly. The efficiency achievable with steam generation relies heavily on the system's ability to return condensed steam to the operating cycle. Many of the systems described above return a significant portion of the condensed steam to the generation cycle. Based on an operating history that exceeds 50 years, the American Society of Mechanical Engineers (ASME) has provided guidelines for water quality in modern industrial boilers. These criteria were established to assure reliable and safe operation of boilers. Table 12.1 truly reflects safe and reliable operation parameters. This is achieved through proper external treatment and proper internal treatment. For each plant operation, there is an optimum method of treatment. Many factors are involved in proper selection of feed water preparation and internal treatment. Principally, these are the requirements of the plant for safe and reliable operation at an economical treating cost. This section deals with the preparation of boiler feed water. The basic assumption with regard to the quality of feed water is that calcium and magnesium hardness, migratory iron, migratory copper, colloidal silica and other contaminants have been reduced to a minimum, consistent with boiler design and operation parameters. Once feed water quality has been optimized with regard to soluble and particulate contaminants. the next problem is corrosive gases. Dissolved oxygen and dissolved carbon dioxide are among the principal causes of corrosion in the boiler and pre-boiler systems. The deposition of these metallic oxides in the boiler is frequently more troublesome than the actual damage caused by the corrosion. Deposition is not only harmful in itself, but it offers an opening for further corrosion mechanisms as well. impact of trace amounts of contaminants remaining in the feed water, and heat exchange impact. Deposition and boiler corrosion are covered later in this chapter. With this overview, a review of the potential problems, equipment and solutions in order. Nozzles and trays should be inspected regularly to insure that they are free of deposits and are in their proper position (Figures 12.2 and 12.3). The storage section is usually designed to hold enough water for 10 minutes of boiler operation at full load. Inlet water should be virtually free of suspended solids that could clog spray valves and ports of the inlet distributor and the deaerator trays. In addition, spray valves, ports and deaerator trays may become plugged with scale that forms when the water being deaerated has high hardness and alkalinity levels. In this case, routine cleaning and inspection of the deaerator is very important. The temperature of the bulk water in the storage section should be at least 2 º F for each I psig of the steam supply, up to 30 psig. Ampulmetric- This test offers ease of operation and minimum time in collecting reliable data. Capsules are available in the 0-100 ppb and 0-1 ppm range. Oxygen Analyzers- Offers accurate reliable direct measurement in liquid streams. Used to monitor dissolved oxygen continuously or intermittently at various points in the condensate and feedwater systems. The major gaseous corrosive contaminants are removed through proper chemical and mechanical dearation. Migratory iron, migratory copper and other contaminants such as calcium, magnesium and silica must be conditioned within the boiler itself. Excursions of calcium, magnesium and silica can create deposition problems within the feed water train. Minimization of these contaminants prior to the feed water train is the most successful way of dealing with this problem. Whenever heat can be recovered from another source, feed water is one of the best streams to receive this heat. The higher the temperature of the feed water going to the boiler, the more efficiently the boiler operates. However, any type of migratory deposition can impede the heat exchange process. Consequently, the highest quality feed water provides the highest heat exchange rate in either economizers or heaters. It is important to understand that none of these heat exchangers can be blown down during boiler operation. The preparation of feed water for boiler injection has been optimized through the removal of undesirable salts and contaminants. In addition, the removal of oxygen and other non-condensable gases has been completed through chemical and mechanical deaeration. Establishing consistent feed water quality is extremely important in designing the internal boiler water treatment program. Boiler deposits result from hardness salts, metallic oxides, silica and a number of other feed water contaminants that can enter the system. In industrial boilers, it is cost prohibitive to eliminate all forms of contaminants in a pretreatment system. A controlled amount of contamination passes into the boiler with the feed water. Minimizing the adverse impact of these contaminants is the role of the boiler water treatment program. An internal boiler water treatment program must be forgiving enough to handle not only normal operating conditions but periodic upsets as well. 1. A circulation pattern is developed in the boiler due to steam bubbles, which alter the density of the boiler water. The hottest area of the boiler (where nucleate boiling occurs) is where the steam-boiler water mixture is the least dense. A rolling circulation pattern is developed as the steam proceeds through the boiler to its outlet for further plant use. 2. Based on convective, conductive and radiant heat transfer, thermal gradients are experienced throughout the steaming boiler. The hottest areas become primary deposition points due to high heat flux. 3. Flow patterns, velocities and concentrations of contaminants also follow the laws of gravity. Thus, any area of the boiler considered to be low flow may exhibit significant deposition. In conclusion, the steaming boiler is a natural vessel for creating deposition of either precipitated soluble salts or migratory particulate contaminants. The ensuing discussions deal with both types of deposition. Precipitated Soluble Salts. In the early years of boiler treatment, calcium sulfate was the principal scale product. This type of scale formation and deposition has been greatly minimized or eliminated. However, a good understanding of scale-forming tendencies and the resultant problems is necessary. The principal scaling and fouling ions are calcium, magnesium, iron and bicarbonate and carbonate alkalinity. Silica is also a potential foulant. In a steaming boiler, both of these conditions are met. While the boiler water is raised to a high temperature, the concentration of the dissolved salts is also increased. As steam is produced, dissolved salts remain in the boiler and continue to concentrate. Some salts may be soluble in the bulk boiler water. However, the boiler water immediately at the tube surface is considerably hotter than the bulk boiler water. As steam bubbles form near the tube wall, the soluble salts remain with the boiler water. This creates a localized high concentration of salts, even though the bulk boiler water may be well below saturation levels. The precipitation normally formed under these conditions has a crystalline structure and is relatively homogeneous. In actuality, the crystallization of salts is a relatively slow process. A well-defined crystal is formed and often results in a dense and highly insulating deposit. From a chemical equilibrium standpoint, reversibility of this reaction is quite low. Table 12.3 is a partial list of scaling and fouling deposits. Particulant Migratory Contaminants. As boiler systems have become more efficient, higher quality feed water has been required. Consequently, the scaling salts have generally been removed prior to injection into the boiler. As a result, the particulate contaminants such as iron and copper become greater problems. It is not unusual to see a well-treated sodium zeolite boiler system with a coating of red iron oxide. This is typically a function of significant amounts of corrosion products returning from the condensate system and depositing in the boiler. For example, if iron is in a soluble form and not a particulate form, it can produce precipitates such as iron phosphates and iron silicates, which are extremely adherent deposits. In either case, the resultant precipitate or particulate has a strong affinity for tube metal through surface attraction. Water flow and circulation in tube banks will provide a force to keep the particles in suspension and moving. However, opposing this force are the surface attractions which are a function of the concentration of the suspended particles, the temperature and the boiler water chemistry. As deposition begins, the localized temperature of the tube metal and deposit begins to increase. This temperature increase accelerates the deposition process. Depending on the type of particulate, a nonscale commonly known as baked-on sludge can form. This can be very hard. It forms dense deposits, particularly in high heat transfer areas. In the high heat transfer areas, iron oxide can lose its water of hydration and become surface charged. The deposition of this iron is greatly enhanced by high tube wall temperatures. This type of deposition normally takes place in the furnace and water wall tubes, which provide for the highest amount of heat absorption in the boiler. Generally, this represents less than 10% of the surface area but approximately 50% of the heat absorption. Each of the above can be controlled through a sensible and well-applied internal boiler water program. The most significant contributors to boiler waterside corrosion are dissolved oxygen, acid or caustic in the water and a high temperature. If any of these are uncontrolled, severe pitting, gouging and embrittling of the tube metal can occur, which will ultimately lead to failure. A good understanding of the mechanisms and control of these factors is extremely important. The magnetite produced is black iron oxide. Under normal operating conditions, this is the typical product of corrosion. However, it is also this reaction that inhibits excessive corrosion in steaming boilers. In a new or clean boiler, the initial corrosion process produces this magnetite film as a tenacious layer at the steel surface. This magnetite layer prevents any further contact with the steel or water surface. Consequently, the corrosion reaction is self-inhibiting. This magnetite layer grows to an approximate thickness of 0.0004-0.001 inches, at which point any further corrosion process ceases. Periodic weakening or damaging of this protective shell does occur, and proper internal boiler water treatment can repair this layer. The normal corrosion in a clean boiler system progresses at approximately 1 mm per year. The appropriate pH levels for maintenance of the magnetite layer is approximately 8.5-12.7, with most systems operating at a pH level of 10.5-11.5. Dissolved Oxygen. In previous discussions concerning mechanical and chemical deaeration, removal of dissolved oxygen was considered essential. When dissolved oxygen enters the steaming boiler, corrosion manifests itself in the form of severe deep pits, almost exclusively at the water level in the steam drum. If oxygen attack has occurred, it is readily identifiable during inspection. pH Variation (Acidic or Caustic Attack). Previously, a pH of 10.5-11.5 was identified as ideal for boiler operation, excluding high purity systems that could function on other types of treatment programs. Variations from the levels that are considered optimum for maintenance of the magnetite layer can cause general corrosion. Each of these will be discussed below. Acidic Attack. If boiler water pH has dropped significantly below 8.5, a phenomenon called waterside thinning can occur. The normal manifestation of acidic attack is etching. In areas of higher flow, the surfaces are smooth. In addition, any stressed area would be a principal area for attack. Caustic Attack. Caustic attack or, as it is more commonly known, caustic corrosion, is often encountered in phosphate treated boilers in which deposits occur in high heat transfer areas. In particular, boiler water can permeate the porous deposit. When it is coupled with significant heat flux, concentration of the boiler water occurs. Caustic soda (NaOH) is the only normal boiler water constituent that has high solubility and does not crystallize under these circumstances. This caustic concentration can be as high as 10,000-100,000 ppm. Localized attack due to the extremely high pH (12.9 +) will occur, as will the formation of caustic-ferritic compounds through the dissolving of the protective magnetite film. Once the process begins, the iron in contact with the boiler water will attempt to restore the protective magnetite film. Caustic corrosion (typically in the form of gouging) continues until the deposit is removed or the caustic concentration is reduced to normal. Caustic attack typically appears in the form of irregular patterns and gouges. Frequently, the white salts associated with caustic attack remain in the tube samples. In addition, if caustic attack has proceeded for any extended period of time, significant levels of magnetic iron oxide can be found in any low flow area, such as a mud drum. This is essentially "stripping" of the magnetite film. Steamside Tracking. This form of corrosive attack generally occurs in lower temperature areas of the boiler. A series of factors may permit stratified flow of steam and water in a given tube. When stratification occurs, the velocity of the steam-water mixture is not sufficient to maintain turbulent flow as the steam-water mixtures passes through the tubes. The affected tubes normally reveal gouging at the steam-water line and thinning under any deposits that have accumulated. Usually these systems contain a certain amount of caustic, which aggravates the rate of attack. The phenomenon does occur in higher heat transfer areas as a function of a direct action between steam and hot steel. Metal temperatures of 900 º F (482 ºC) are required for this type of attack to proceed. Similar results in the form of thinning and gouging will be in evidence; however, a metallurgical examination might be required to determine the true mechanism of attack. Steamside tracking or blanketing is a direct corrosive attack, similar to the acid or caustic attack. The other normally encountered form of corrosion is stress-related corrosion. Stress Attack. Metallurgical examinations are required to identify the causes of stress attack. On occasion, intergranular or transgranular attack can be seen on tube specimens. The intergranular or transgranular attack can be a function of system condition or boiler water chemistry. It generally occurs in higher pressure systems. Proper corrosion control is a function of several factors. 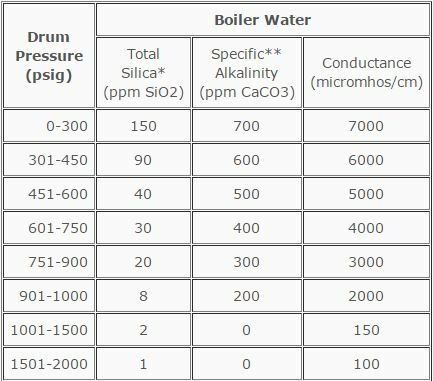 Proper boiler chemistry for operating pressures and conditions. Close scrutiny and cntrol of boiler water chemistry. Frequent testing of boiler water chemistry. Thorough inspection of all waterside areas during shutdown. Embrittlement of boiler metal is normally referred to as caustic embrittlement or intercrystalline cracking. Failure of a boiler due to caustic embrittlement is normally undetectable during operating conditions; it generally occurs suddenly, with catastrophic results. 1. Leakage of boiler water must occur so as to permit the escape of steam and subsequent concentration of boiler water. 2. Attack of the boiler metal by concentrated caustic soda occurs from the concentrated boiler water. 3. There is high metal stress in the area of caustic concentration and leakage. In the past, caustic embrittlement failures have normally been associated with riveted seams in boiler drums. Modern welding techniques have eliminated this particular factor in today's boilers. The actual phenomenon of caustic embrittlement is through high caustic concentrations traversing the grain boundaries within the crystalline structure of the metal. The caustic does not attack the crystals themselves, but rather travels between the crystals. It is an accepted fact that little control can be exerted over the factors of leakage and stress. Therefore, testing of the boiler water should be done to determine if embrittling characteristics exist. In the event the boiler water is found to be nonembrittling, leakage and stress can be ignored as far as embrittlement is concerned. An embrittlement detector was patented by the United States Bureau of Mines and is covered by U. S. patents 2,283954 and 2,283955. Figure 12.4 shows a typical embrittlement detector. The normal installation area for an embrittlement detector is in the continuous blowdown line, providing the blowdown is approximately at boiler water temperature. Tests of 30, 60 or 90 days are run with the embrittlement detector, and the test bar is then submitted to bending tests. At boiler pressures in excess of 900 psi, boiler water chemistry can be adjusted to phosphate-pH control systems. The balance of pH and phosphate and the elimination of free caustic in the boiler water eliminates embrittling characteristics. Boiler plants should have embrittlement tests run to determine the characteristics of the boiler water. If they have not been done, they should be recommended. If the testing has been accomplished and embrittling characteristics were not found. a statement should be made to this effect in any proposal for boiler water systems. If the boiler water has been found to be embrittling, then appropriate adjustments in internal treatment are required. Carryover is generally considered to be any contaminant that leaves a boiler steam drum with the steam. It can be in solid, liquid or vaporous form. With higher operating pressures, higher superheat temperatures and the need for pure steam in certain processes, greater emphasis is placed on controlling the factors that minimize carryover. 1. Steam Purity- The amount of solid, liquid or vaporous contamination in the steam. Steam purity is normaily reported as total solids in parts per billion (ppb). 2. Steam Ouality- The amount of moisture in the steam. It is the weight of dry steam in the mixture of steam and water droplets. It is reported as a percentage. Simply put, carryover is a result of the incomplete separation of steam from the steam-water mixture in the boiler drum. There are a variety of factors that complicate separation. These are classified as chemical or mechanical factors. Mechanical Factors. 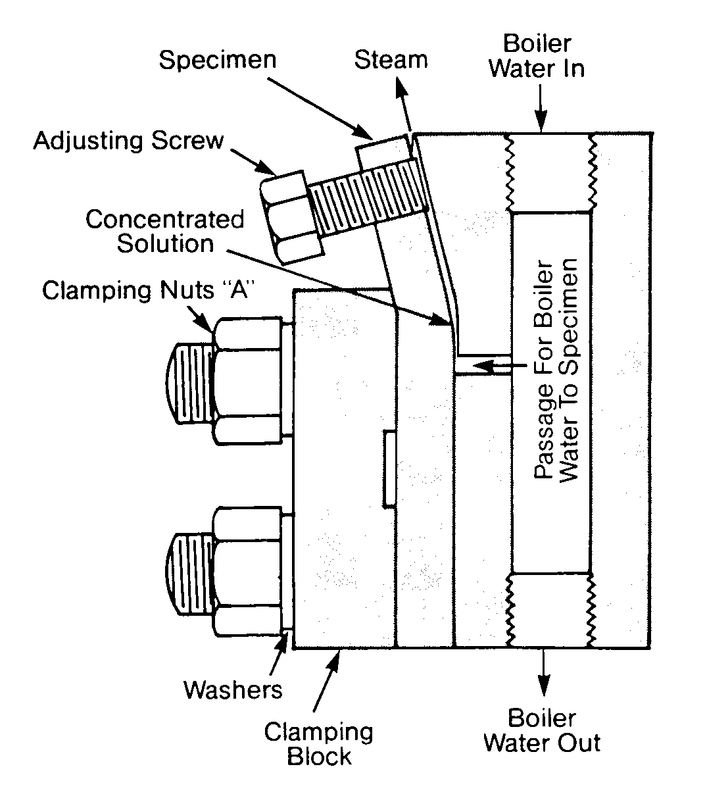 Mechanical causes vary by boiler design. the type of mechanical steam separating equipment, the fuels fired and the basic operational swing on the unit. In addition, steam load and boiler drum level have a significant effect on the amount of space available for steam separation from the steam-water mixture. Chemical Factors. Foaming and selective vaporization are two basic mechanisms of chemical carryover. As the name implies, foaming is the formation of small bubbles on the surface of the boiler water. As these bubbles burst, the subsequent moisture is entrained with the steam. The levels of foam in the boiler steam drum also have a direct effect on carryover. Selective vaporization occurs due to the solvent properties of steam for certain impurities that are normally present. All sodium-based salts found in boiler water are soluble in water and, to varying degrees, in the steam phase as well. Generally, the solubility of these salts is negligible below pressures of 2400 psig. Selective vaporization of silica can occur at pressures as low as 400 psig. Usually, the problem of silica vaporization is not a concern at pressures below 900 psig. Any of the above can affect chemical carryover. Other contaminants such as hydrocarbons can be saponified, and the resultant soaps can cause foaming. In addition, certain surface water supplies do contain synthetic detergents and wetting agents. Frequently, these synthetic detergents can combine with the hardness salts present to form insoluble precipitates. These precipitates tend to stabilize foam production in a boiler steam drum. Boiler manufacturers typically do not guarantee steam purity below 1.0 ppm total solids. However, modern boiler design routinely achieves levels of less than 0.1 ppm. A combination of good boiler design and good operation can work together to develop the steam purity levels required. When a boiler must have optimum steam purity, operating pressure is a deciding factor in the design. At low pressures, the density of water is many times greater than that of steam. Therefore, adequate disengaging space and water surface area can be provided to achieve desired steam purity. As pressures increase, the density difference between steam and water decreases. To size a steam drum to separate steam and water adequately at higher pressure is cost prohibitive; therefore, mechanical separators are employed. The two major types of mechanical separation are primary separation and secondary separation (or steam scrubbing). Steam washing is another form of improving steam purity, but this is generally limited to high pressure systems. Primary Separation. This form of mechanical carryover prevention utilizes rapid and abrupt changes in the direction of steam flow. Major separation of the steam and water occurs in these primary devices. Simple baffles, curtain baffles, belly baffles, and cyclone separators are used in primary separation. Over 98% of the steam purity is achieved in the primary separation phase. Secondary Separation. With the small amounts of moisture that remain after primary separation, the scrubbing or drying process has to be accomplished through rapid directional changes of the steam flow in conjunction with large surface areas for collection of the mist. In addition, steam velocity must be low to avoid reentrainment of the boiler water. Normally, screens or corrugated plates with close tolerances are used as steam scrubbers. Chemical Corrections. Proper boiler water chemistry reduces the impact that dissolved salts, alkalinity, silica and hydrocarbon contaminants have on carryover tendencies. 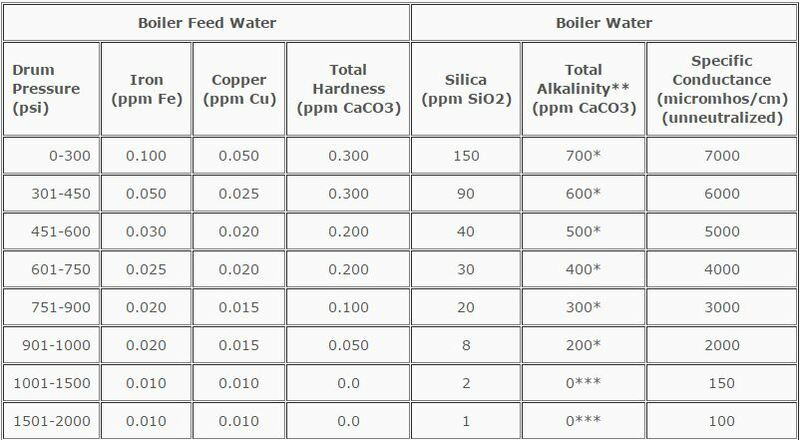 Table 12.44 shows the ABMA (American Boiler Manufacturers Association) standard boiler water concentrations for minimizing carryover. It should be recognized that these are guidelines only. Some plants can operate beyond these levels. The best method of controlling chemically induced carryover is through restriction of all contaminants from the feed water. Sometimes, this is not possible. In addition, the carryover problem sometimes cannot be solved economically either through mechanical or chemical means. Effective use of boiler water anti-foam agents has significantly reduced carryover tendencies. Typically, these anti-foam materials are polyalcohols and amines. They function like other anti-foam agents. Where a chemical carryover problem exists, the results of anti-foam application can be dramatic. This frequently allows for good quality steam and higher concentrations in the boiler water chemistry. * This value will limit the silica content of the steam to 0.25 ppm as a function of selective vaporization of silica. * Specific conductance is unneutralized. The requirement for steam purity is a function of plant operation. If a problem exists, it is important to define the causes so the proper corrective action can be taken. Part of this problem definition must be accomplished through the measurement of steam purity (not covered in this section). In previous sections, discussion centered on deposition in high heat transfer areas. Much of this review centered on the potential for failure due to tube overheating or catastrophic corrosion. As the process of deposition continues, whether it is caused by poor external treatment or internal treatment, a slow and continuous loss of heat transfer and thermal efficiency occurs. As a result, there are two significant reasons for maintaining the proper external and internal control: safe, reliable operation and efficient, cost-effective operation. Thermal efficiency calculations can be made regarding the fireside and waterside of a steaming boiler. These are time consuming and they generally do not change dramatically over a short period of time. The ensuing sections discuss the approaches to internal boiler water treatment. 1. Pre-1920: Carbonate Cycle-This program introduced soda ash to prevent the formation of calcium sulfate scales. It replaced a rather difficult scale deposit (CaS04)with another scale that was somewhat easier to remove, calcium carbonate (CaC03). 2. 1920s: Phosphate Program-Soluble phosphate and alkali are added to the boiler system to promote the precipitation of calcium and magnesium ions in a desired sludge form. This sludge was removed via a manual blowdown, provided that the sludge remained in a fluid form. A minimum pH value of 9.5 was required to precipitate the calcium properly. However, with the proper addition of alkalinity, pH levels of 10.5 plus were maintained to drive the reactions to completion. These reactions were also irreversible. Both serpentine and caicium hydroxyapatite are relatively nonadherent to boiler metal and are easily removed by manual blowdown. The amount of phosphate, alkali and silicate required is based on these reactions plus an excess to drive the reactions to completion. Without enough hydroxyl alkalinity, the potential for calcium acid phosphate to precipitate is high. Calcium acid phosphate is a tenacious scale that cannot be removed while the boiler is operating. 3. 1950s: Phosphate-Organic-This program included the introduction of a surface-active material such as naturally occurring lignins, tanins, etc. These materials provided a dispersing and adsorptive action for maintaining the sludge in a fluidized form. This was an improvement over previous approaches. 4. 1960s: Phosphate-PoIymer-This provided a superior dispersive action to boiler water treatment. The synthetic polymers such as SSMA, PMA, and PAA were significantly more efficient than naturally occurring organic agents. 5. 1960s: CheIant Program-Coincidental with the development of synthetic polymers, chelant technology came into its own. In contrast to the precipitating type of programs identified with phosphate base systems. Chelation is a solublizing approach. High pressure boiler water control systems have not been reviewed above. They are specialized and unique programs based on boiler design, operating pressure and feed water quality. When choosing an internal treatment program, many factors must be considered. However, one point remains extremely important: Any boiler opening will be on outstanding event, if proper control and situational responses have been carried out in an effective monner The final choice should be a program with excellent control that plant operators are most comfortable with. In addition, it should be a cost-effective program. The following sections present the pros and cons of precipitating and solubilizing programs. This type of program causes sludge to form and therefore requires continuous blowdown. Deposition problems are possible in the higher heat transfer areas of the boiler. On the positive side, phosphate-polymer programs can essentially handle any feed water hardness and be cost effective. This is particularly true of the new synthetic polymers. 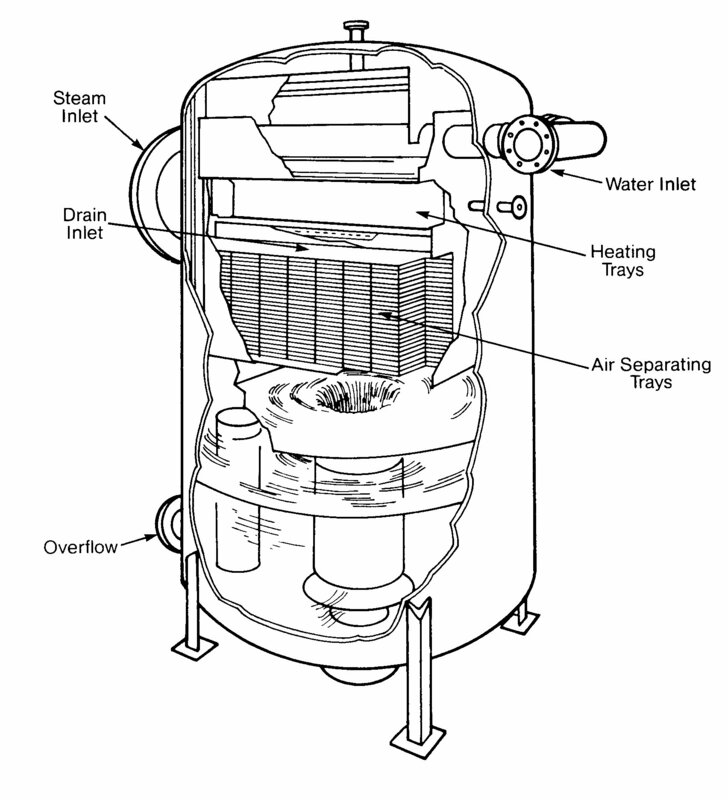 Generally, a phosphate-treated boiler leaves a light grey deposition of approximately 1 / 16 inch. The rolled tube ends and the steam drums frequently have larger amounts of deposition. Sludge is evident in the mud drum and this deposition is easily waterwashed. in contrast to precipitating programs, chelating agents form water-soluble complexes with calcium, magnesium. 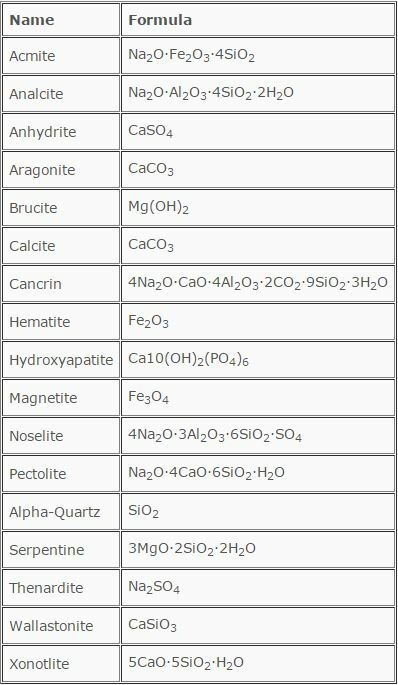 iron and other metal ions. On the pro side, no sludge is formed, better heat transfer is achieved and the program has some forgiveness. Disadvantages include its expense over precipitating programs with high feed water hardness. In addition, chelant testing can be difficult for inexperienced operators. During a chelant control program inspection, a light iron oxide dusting would be noted. All tube services should be clean and the rolled tube ends should show no deposition. All baffle plates should be clean and only a small amount of debris should be found in the mud drum. While some chelant corrosion did occur in the 1960s, this was due to improper application and inadequate testing. Significant overfeed occurred in each documented case of chelant corrosion. This is no longer a problem today. Present boiler water technology can provide efficient, cost-effective and reliable operation for industrial boiler systems. Selection of the best internal treatment program is a function of many factors. However, the ability to control the program should be the first consideration. One of the significant methods of control is blowdown regulation, which is covered in the next section. Table 12.4 indicates certain ABMA guidelines have been provided for safe and reliable operation. In actual situations, some of these guidelines have been exceeded quite successfully. Because each boiler and plant operation is different, maximum levels should be determined on an individual basis. Condensate system equipment is defined as condensers, receivers, regulators, traps and piping. Normally considered a potential maintenance nightmare, a properly treated and operated condensate system can be a moneymaker for an industrial plant. The principal problems associated with return condensate systems deal with corrosion by oxygen, carbon dioxide and copper complexing agents. With significant corrosion, fouling of the return piping can also occur. Each of these sources of corrosive attack is discussed below. Oxygen Corrosion. The corrosion of a condensate system by oxygen is in the form of severe pitting. As in the feed water train, oxygen corrosion is easily recognized by large pits produced at the point of attack. Active oxygen pitting is easily recognized by the black oxide present in the pit. The surrounding area may be red ferric oxide, but this is a secondary product of the corrosion mechanism. If the pit itself contains red iron oxide, that simply indicates a past corrosion problem. Oxygen has many opportunities to enter a condensate system. Leaks due to expansion and contraction of the return system are possible in receiving tanks, pumps, etc. Poor mechanical and chemical deaeration of the feed water can also introduce oxygen in the condensate system. Carbon Dioxide Corrosion. Carbon dioxide can enter a condensate system as a dissolved gas or it can be chemically combined in the bicarbonate or carbonate alkalinity of the feed water. Generally. dissolved carbon dioxide is removed in the deaerating heater. The following reactions show the breakdown of naturally occurring bicarbonate and carbonate alkalinity to carbon dioxide. Reaction #1 proceeds to completion. Reaction #2 is only about 80% complete. The manifestation of carbon dioxide corrosion is generalized loss of metal, typified by grooving of the pipe walls at the bottom of the pipe: attack occurs at the threaded or stressed areas. This is the most common form of condensate system attack. The most commonly found copper complexing agent in condensate systems is ammonia. This can be present in low concentrations due to the decomposition of organic contaminants, hydrazine or amine type treatment chemicals. A good understanding of the levels of ammonia is necessary in the event the condensate system contains copper-bearing alloys. The basic approach to chemical treatment of condensate systems is through the use of neutralizing amines, filming amines, combinations of both amines and hydrazine. Simply stated, neutralizing amines hydrolyze in water to generate the necessary hydroxide ions required for neutralization of the carbon dioxide. The normal approach to treating systems with these amines is to feed sufficient quantity to neutralize the carbon dioxide and then provide small additional amounts to buffer the pH to 8.5 or 9.0. At this pH, continued preservation of the magnetite film is also achieved. It is also implied that corrosion will not exist at a pH>8.0-8.5. A variety of amines are available for condensate neutralization and pH elevation. Based on the complexity of a condensate system, several methods are employed for determining which neutralizing amine is best for the application. Frequently, a blend of amines may appear to be optimum. One method of selection deals with the distribution ratio of the amine. This is defined as the amount of amine in the vapor phase divided by the amount of amine in the condensate. 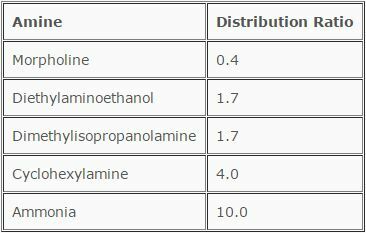 The distribution ratios for commonly utilized neutralized amines are shown in Table 12.5. For example, because of its distribution ratio, morpholine is an excellent choice for plants that have operating turbines. It begins to leave the gaseous phase as the first condensation occurs in the wet end of the turbine. Conversely, cyclohexylamine will preferentially stay with the steam for a longer period of time. Blends of these amines or others are most desirable for plants with extensive condensate systems. Filming amines function by forming a protective barrier against both oxygen and carbon dioxide attack. These amines form films directly with the condensate line metal and develop a barrier to prevent contact of the corrosive condensate with the return piping. By design, film formers have been developed to function best at a pH of 5.5-7.5. In addition, these amines are highly surface-active and will slough loosely adherent iron oxide and other corrosion products back to receiving points or to the boiler. Care must be exercised with the feed of filming amines. Combination Amines. Over the past several years, combinations of filming and neutralizing amines have been shown to be extremely effective, particularly in complex systems. While the combination amine is still functionally a filmer, the neutralizing amine portions provide for reduction in fouling potential and more uniform coverage of the filmer. Filming amines and combination amines are generally fed to steam headers. Dosages are based on steam production. Control of oxygen attack can be accomplished through the proper selection of filming amine programs. In addition, hydrazine has been injected into condensate systems to protect against oxygen attack. 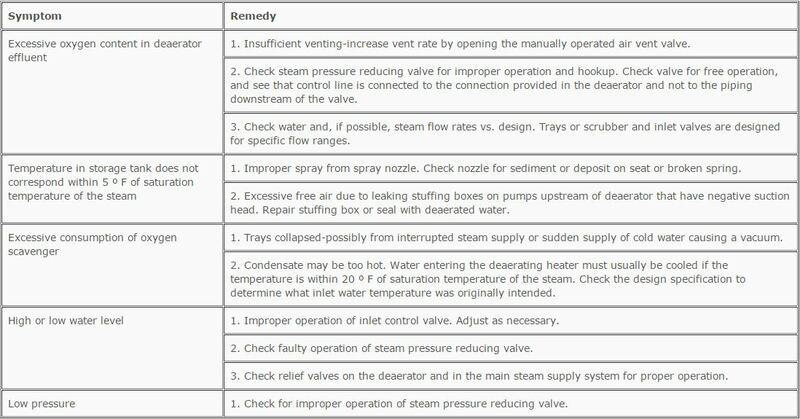 While some failure analysis was discussed earlier in this Chapter, the following is a summary of the typical types of boiler failures. Metallographic examination of the cracking will reveal transcrystalline, unbranched cracks. Caustic Embrittlement. Caustic embrittlement is a form of stress corrosion cracking that occurs in mild and low alloy steel due to the conjugant action of an enduring tensile stress and concentrated solution of sodium hydroxide. The stress may be residual (from welding or prior cold work) or applied. Metallographic examination shows continuous, branched, intergranular cracking. Corrosion Failure. Corrosion failure occurs as pitting, thinning or gouging. Pitting corrosion can occur due to the presence of free oxygen entering the boiler with the feed water as a result of incomplete deaeration and/or chemical scavenging. Oxygen pitting can also occur during downtime due to improper storage procedures. Plating of copper metal onto a boiler tube side during acid-cleaning can also result in pitting due to dissimilar metal corrosion. Caustic gouging typically occurs under deposits due to the concentration of sodium hydroxide via evaporation of the boiler water. Caustic attack can also occur in conjunction with steam blanketing. There are many ways to approach the selection of a sound and effective internal boiler water treatment program. Above all, the best selection can be made with a proper understanding of system design, capabilities, water chemistry and common sense.